If you think the oven is too slow Minecraft, or want greater variety of furnaces in the game, you will like this mod. 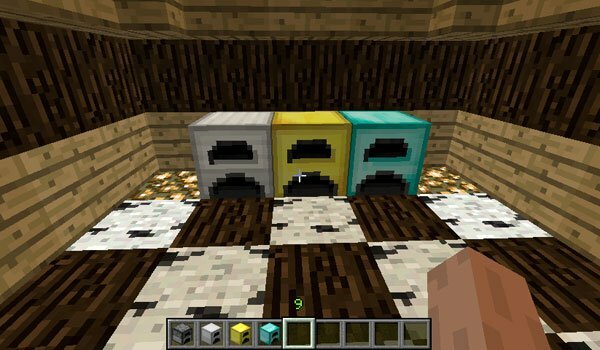 Better Furnace 1.7.2 and 1.7.10 adds four new versions of oven, aesthetically identical to normal, but with different colors, and materials to create them will be different. The new ovens are: Iron Furnace, which burn 1.5 times faster, Gold Furnace, twice as fast, Diamond Furnace, four times faster and finally the Extreme Furnace, cook or burn it fifty times faster than the oven traditional. Beside this, the mod adds new items as a special coal that allows us to optimize the cost of coal in furnaces, getting less coal consuming. The block “Storage Upgrade” allows us to improve the Extreme Furnace, so we can expand a box for coal as to what we want to burn or cook. We put it in our hands, squat and press right click on the oven. How to install Better Furnace Mod for Minecraft 1.7.2 and 1.7.10?